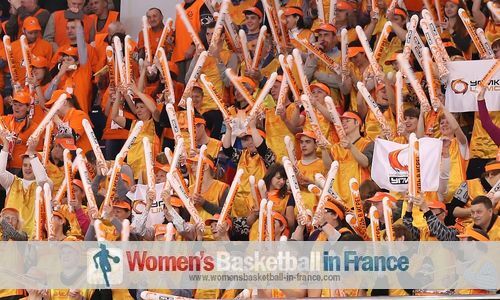 The 2014 Euroleague Women groups are confirmed after the official draw was conducted by FIBA Europe in Munich. The 20 clubs for the new season are divided into two groups of seven teams and one group of six teams. The edition starts on 6 November 2013 and concludes with the last match at the Final Eight on 13 April 2014. 1. teams from the same country cannot be drawn into the same group. 2. clubs were seeded by the ranking of their national Federation as well as their own results in the competition. This ranking resulted in seven pots being created for the draw, with the teams ranked together in the same pot. The defending champions UMMC Ekaterinburg are in Group A where they meet last 2013 semi-finalists Bourges Basket and Good Angels Kosice. Fenerbahçe SK, the runners-up in 2013, were drawn in Group B, together with 2012 runners-up Rivas Ecópolis as well as Nadezhda Orenburg and Wisla Can-Pack Krakow. In Group C four-time champions Sparta&K MR Vidnoje, that, among others, are going to face Galatasaray MP and 2011 champions Perfumeríias Avenida. In case the Final Eight hosts, which will be decided later in 2013, are among the first five teams in its group, the top five teams from each group advance to the play-offs, playing out the seven teams to join the hosts in the Final Eight. Should the Final Eight hosts not make the top five in their group, the top four from each group plus the two best fifth-placed teams advance.